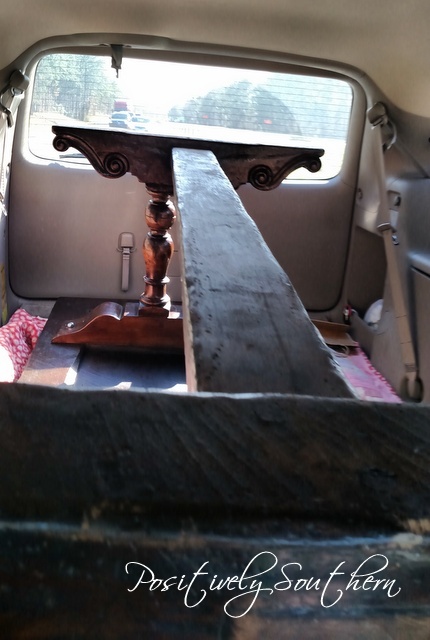 For as long as I've been friends with my antique buddy she has talked about finding a dining table. 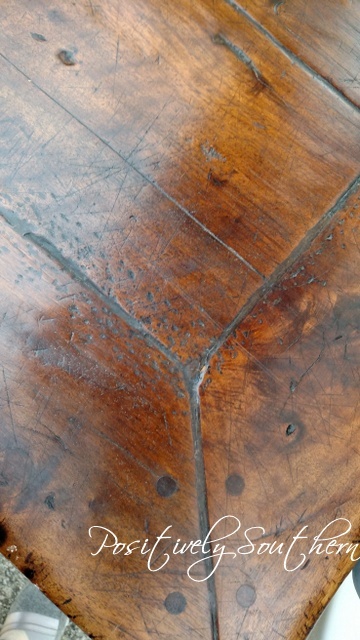 A few weeks ago she sent me a text with the most magnificent dining table I've ever seen. As quick as I saw it I phoned her to get all the details. Where was it, how are we gonna get it to Auburn and on and on. As luck would have it it was in Fairhope, Alabama. I immediately committed myself to doing anything I could to help bring it to Auburn! We quickly realized that the table wouldn't fit into her SUV. We decided to see if it would fit into my minivan, ya'll should have seen us inside the back of my van with measuring tapes in hand. It would fit! 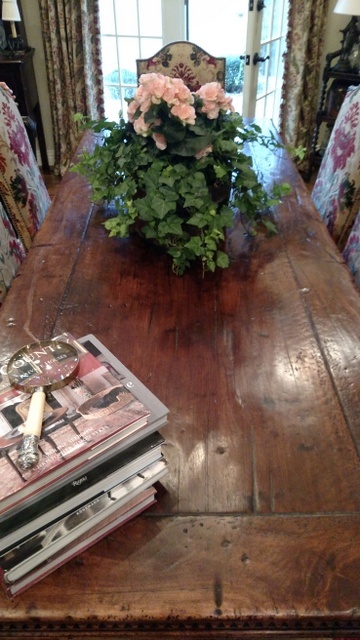 The table came from a French Monastery and dates back to the mid 1800's. 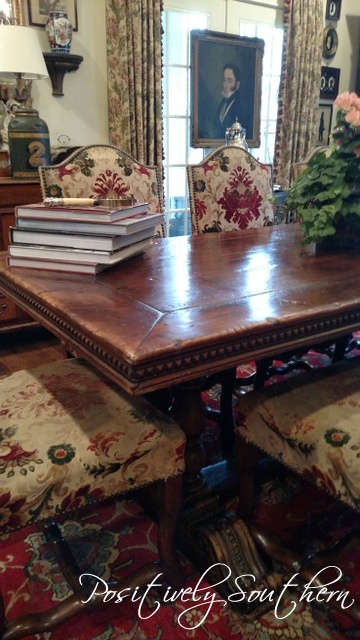 I can only imagine the conversations held around this table. 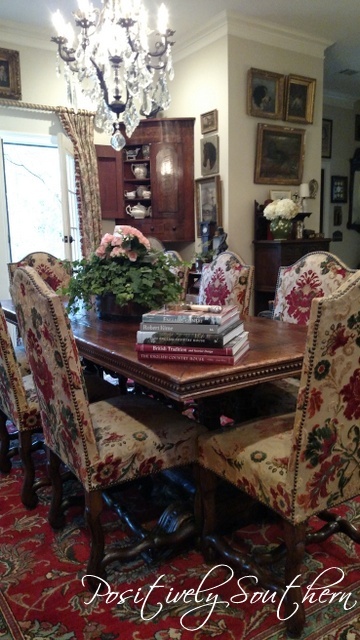 To say it is a good thing her dining room has french doors would be an understatement, the top didn't have to be removed for transport or putting it into place in her room. The details on this table are exquisite, from the legs to the top! Without a doubt it is the most amazing piece of furniture I've personally ever laid my eyes on. 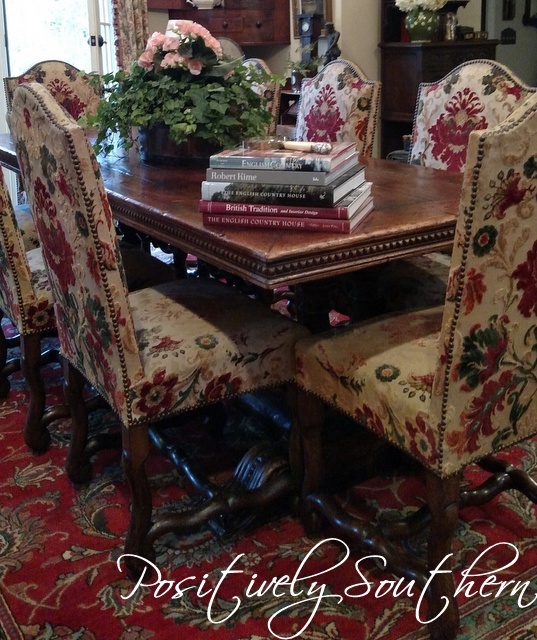 I do realize this last photo shows only a small part of her dining room but isn't it gorgeous?! The table is for sure the piece de resistance. Yep, you are right! That table is amazing. I guess I need to make a trip to Fairhope soon. 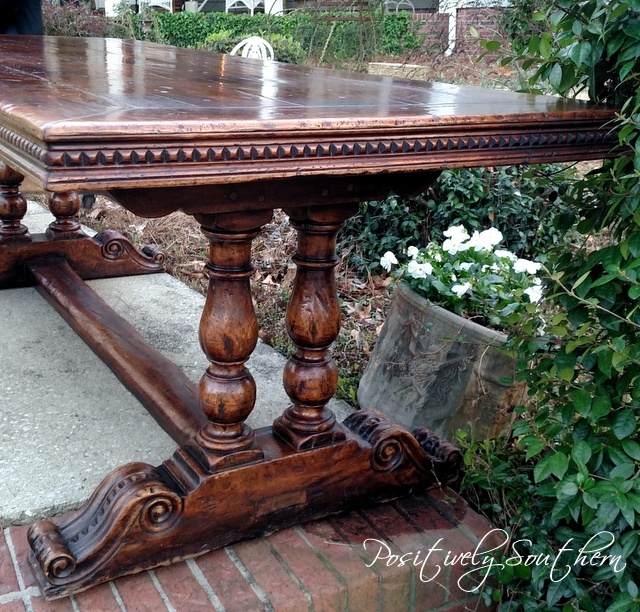 This table is drop dead gorgeous! Please tell me your friend is not one of those who wants to chalk paint every piece of furniture they come in contact with! I'd die! Great find. Oh my goodness! That table is gorgeous! It sounds like you and your antique buddy had fun getting that treasure home too! Beautiful table in a drop dead gorgeous room....Pullleeeease talk her into letting you show more of the room! !